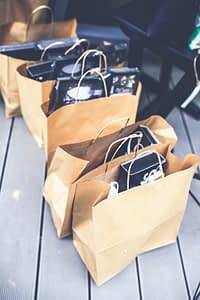 When I first started reading about how to live frugally, how to save money when you shop for groceries, clothing or anything else and how to entertain yourself on a shoestring budget I realized that although I never really needed to, I was already using a lot of the grocery bill cutting tips and tricks such as couponing. Now, your reasons for wanting to start couponing might not be the same as mine, but whatever they are I know that if you haven’t ever done it before couponing can be terrifying! 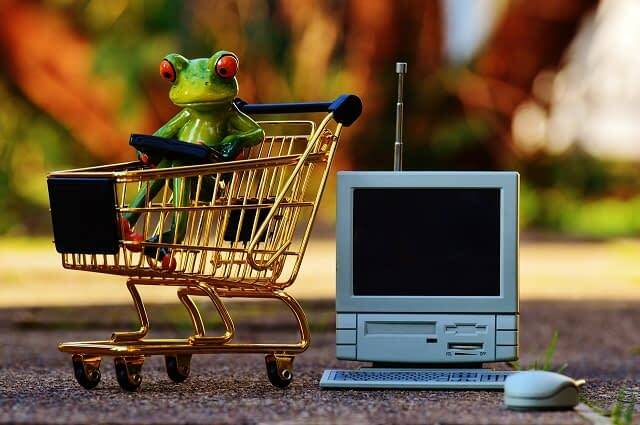 All those abbreviations and acronyms, the terms and conditions, the different store policies and then the scariest part of all – the checkout! Before you start stealing your neighbor’s newspaper, printing every online coupon you find, downloading every couponing app you see, and bookmarking every coupon site you stumble across; you need to stop. Take a breath and realize that the first thing you need to do is change the way you think about grocery shopping. There can be no more going to the store without a shopping list, nor can there be mile long lists of things you don’t really need. You can’t go to the store with a list and come home with dozens of items that weren’t on it, and neither can you just decide to buy big ticket items. And lastly, you’re going to have to learn to shop at multiple stores to get the best discounts. The most important part of couponing is of course, having coupons! And whenever you find any of coupons it’s a good idea to try get multiple copies of them. Even if you can only use one coupon at a time, you can use the others on another trip or maybe at another store! The first place to look for coupons is inserts in your local newspaper. The three most common inserts you’ll find are from Proctor & Gamble (PG), Smart Source (SS) and Red Plum (RP), although you may find other inserts specific to your area. You should also browse through the paper, because sometimes a company or manufacturer will have a coupon alongside their advertising. You may occasionally see a free coupon magazine outside a store and certain woman’s magazines such as Good Housekeeping and All You often have manufacturers coupons in them as well. You’ll find coupons in junk mailers, and other times you’ll find one amongst junk mail from stores or service providers in the area. It is a good idea to sign up for the loyalty programs at the stores you shop at most because they’ll often mail you coupons for items you buy regularly. If there is a certain manufacturer you’re fond of, or even if you’ve never bought any of their products before, writing to manufacturers and asking if they have any coupons almost never fails. You may find products with coupons attached to them, sometimes you’ll see a tear pad of coupons or a coupon machine next to a certain product, or range of products. Several stores also have bulletin boards of coupons near the entrance. There are dozens, if not hundreds of websites like Discountrue and HotCouponWorld.com where you can find printable coupons for multiple products, stores and categories. You can be sure that all the most popular shops such as Kohl’s and Target will be there, but there are plenty of the smaller brands as well. You’ll also find such sites popping up on social media sites like Facebook, as well as on actual manufacturers and smaller specific store sites. You may need a printer and some free software, and you only get to print each one a limited number of times (per device, or per account etc) but otherwise they don’t cost a cent, and you can always use them in their digital form! With apps like Ibotta, Shopmium, Checkout 51, CartSmart and Snap all your coupons are sent directly to your mobile device. All you have to do is download them and show them to the cashier, or otherwise redeem them once you’ve made your purchase. These are the easiest coupons to use because they are loaded directly onto your store or grocery card via your phone or computer, and then automatically redeemed when you swipe your card at checkout time. Now that you’ve checked all the places where you can get coupons it is time to get them organized. There are dozens of methods to choose from so you will need to find the one that works for you. Some people clip out every coupon they find then organize them in a baseball card binder according to whichever categories work for them, others clip out all the coupons they think they’ll use and others use a file box then only clip out coupons as they need them. Whichever system works for you, having your coupons organized is essential to couponing success – and maintaining your sanity. You’ll be able to find coupons as you need them, won’t misplace any and you won’t end up with pieces of paper scattered all over the place! When and how you use the coupons you have is essential to making every dollar you have go as far as possible, and saving more than you spend!! Sometimes it pays better to wait a while and use a coupon when there is a sale or promotion happening. Keeping track of coupons and sales can be complicated, so deal matching sites like grocerysmarts.com and krazykouponlady.com that do all the work for you are ideal. Stacking coupons refers to using more than one coupon at the same time, on the same product. For example you might have a store coupon as well as a manufacturers coupon for the same item, which could mean you end up with overage. There are stores that honor coupons at double their face value, which means that a coupon that gives you $0.50 off an item is actually worth $1.00 off at that store. It normally applies to smaller denomination coupons, but remember that it is the small amounts that pay the rent every month! All coupons come with an expiration date, which means that after that date they will no longer be valid. Try to keep your coupons sorted so that you see the ones that expire soonest first, and if you spot a coupon that’s expired then get rid of it! Read the small print on every coupon, because that is where you’ll find out if there are restrictions on brands, quantity, sizes, make and so forth. Sometimes another brand that you don’t have a coupon for actually works out cheaper. So learn to price compare different brands when you shop, will that brand with that coupon cost less than that brand with no coupon or that other coupon? Don’t use every coupon just because you have them, only get the items you need! In other words don’t use that coupon for baked beans if no one in your house eats them- because that’s wastage! The thing you’re always aiming for when using coupons is overage, which is when the value of the coupons you’re using on a product exceed the cost of it. Then you either get cash back, or credit towards other items on your current bill. If your total overage exceeds your final bill, not all stores will give you cash back or credit off the next bill, so you’ll need to find fillers to use it up.. If you’re planning on using a high value coupon, or it’s a popular product then call ahead to make sure the store you’re going to has stock. If there’s a sale on an item that you’re combining with a coupon, then you can ask for a rain check which means you’ll still be able to get that item at the sale price when it is restocked. Now you know where to start with your couponing, so all that’s left to do is learn all the terms and abbreviations you’re going to come across Money Crasher has a great article on this), then pick just one store, get their policy on coupons and learn it. Practice for a month or so, and once you have it aced then head to the next store and start all over again. You’re not going to become an extreme couponer overnight, but with some practice and some patience you’ll be couponing like a queen in no time!! nextPaano makapag-move on: How to accept job rejections?